Another new beauty box?! I hear you, the idea is getting a bit over-done now – but hear me out on this one. 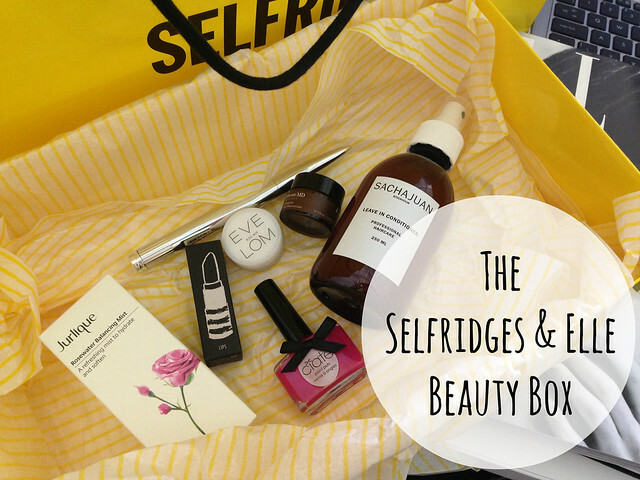 As this one from Selfridges and the beauty team at Elle is a little bit special. And by a little bit – I mean it’s amazing. This box carries a higher price point – and doesn’t have the surprise element that other beauty boxes have. But in many ways, this is a very good thing – you know what you’re handing your cash over for and you know it’s going to be good! – Ciate Cupcake Queen Nail Varnish – a pretty, bright pink with subtle blue-toned shimmer to it. – Eve Lom Kiss Mix Lip Balm – One of the best lip balms, amazing in colder weather. – Topshop Lipstick in Charmed – I adore Topshop lipsticks and this peachy shade was next on my list. – Sachajuan Leave-In Conditioner – The bottle looks simple and non attention-grabbing, but these are fab. I first tried this brand after it was in a beauty box a while back and really impressed! – Jurlique Rosewater Balancing Mist – Love Jurlique, this will be a great refresher for LFW madness this coming weekend! – Perricone MD Neuropeptide Firming Moisturiser – I’ve not tried a huge amount from Perricone MD but will give this a whirl and report back. Plus the October Issue of Elle Magazine – which is HUGE – and comes with the lovely subscriber cover – less cover text and a little bit ‘frame-worthy’! Oh wow, that actually looks amazing! I would be much happier to get this than a surprise box. Now thats how you do a beauty box I say!!! I don’t really like any of the beauty boxes, hmm well maybe birchbox but the rest is all rubbish. 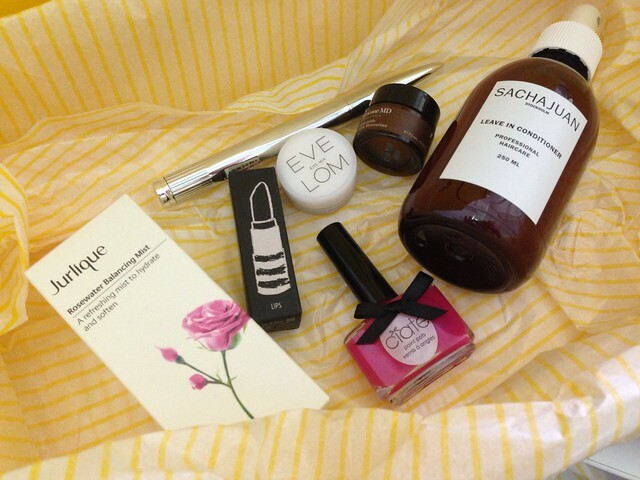 I really like the elle box but its not something I can afford. I love all the products they carry and all of them seem to be full size but if you spend £30 and you don’t know what you get, not sure that will work for everybody. OMG! I want one, too bad I’m in Australia. Wahh. This looks so good. While £30 is too much to gamble for me (I’d rather buy one thing I know I’d like) I have to say I’m pretty impressed – and considering subscribing to Elle for that beautiful cover alone! If i had the money I would most defiantly sign up to this beauty box! But £30 is more than my gym membership! 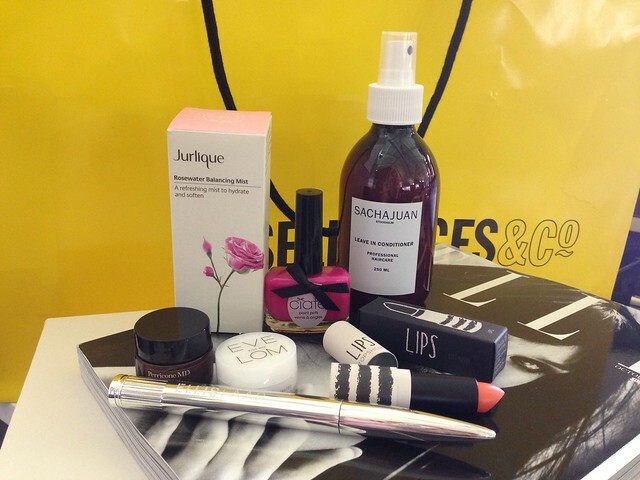 But then you are getting some fab products!